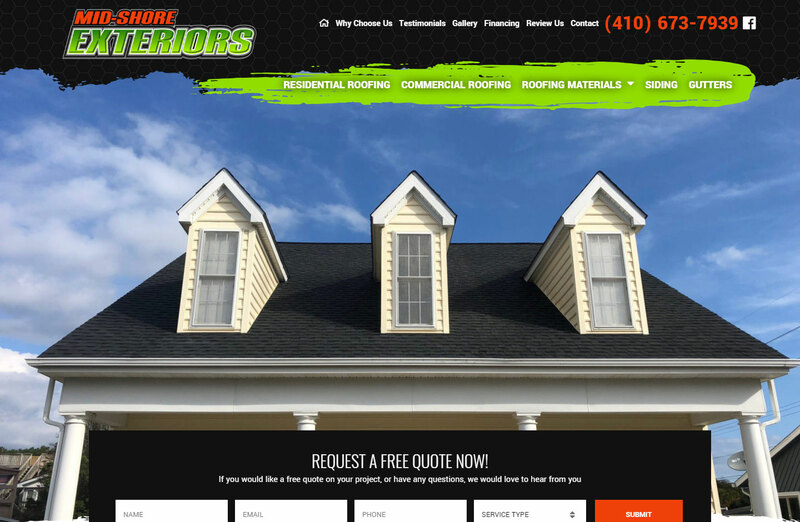 Mid-Shore Exteriors was a current WebTek client who came to us seeking a redesign to match their new company branding. This new website is built in the WordPress platform to make it easy to edit for our client. Along with the new website design we rewrote all of the content for the website to promote SEO for their website along with their new WebTek SEO package. We hope our client is as happy as we are with this new website. We have received many compliments on the new website and a few leads already. I just wanted to thank you for a great job. Our company has been working with Webtek for several years on our website and internet marketing. Kornel and his group at Webtek have done an amazing job! We get most of our business from the internet and are always ranked at the top! The quality of our website shows and we are always complemented on the look of it! I highly recommend Webtek for website design and internet marketing!